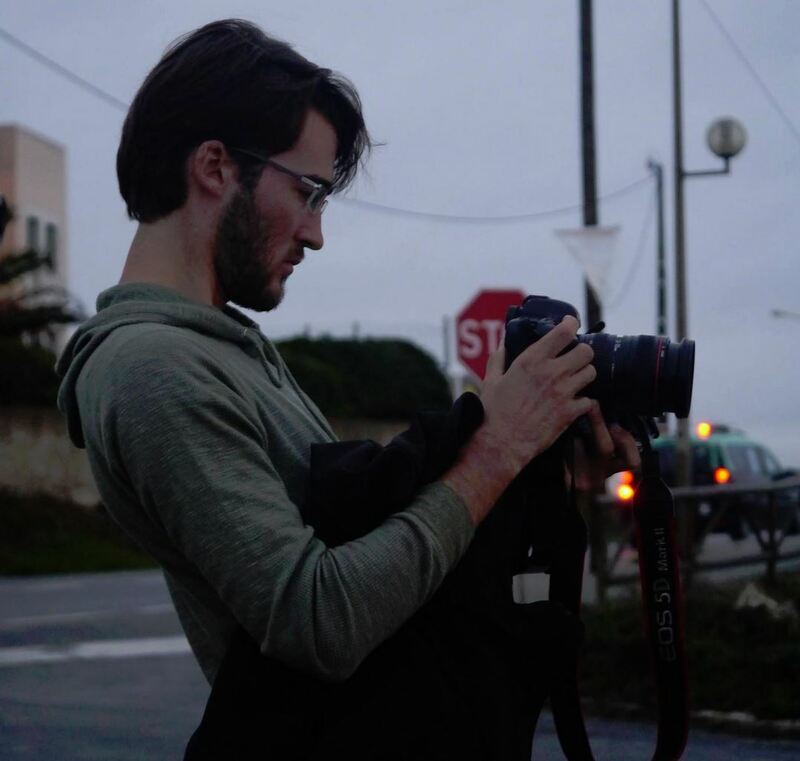 David Gwynn, the new DIS Videographer, has traveled with numerous core courses on week-long study tours, popped into discussion-filled classrooms, and tagged along for interactive field studies. He’s stopped by with his camera for soccer practice, a shift or two as a barista at Studenterhuset, and a typical Danish dinner at a homestay. Yet, as a returning alumnus from fall 2011, these DIS experiences are not all foreign to David; he has his own visiting family to share meals with, and a bike to hop on again. Now five months into his internship as a videographer, David’s back in the swing of things at DIS, just from a new perspective… and with a couple more academic programs to pay attention to. Before we debut his latest videos, we thought a proper introduction was in order! 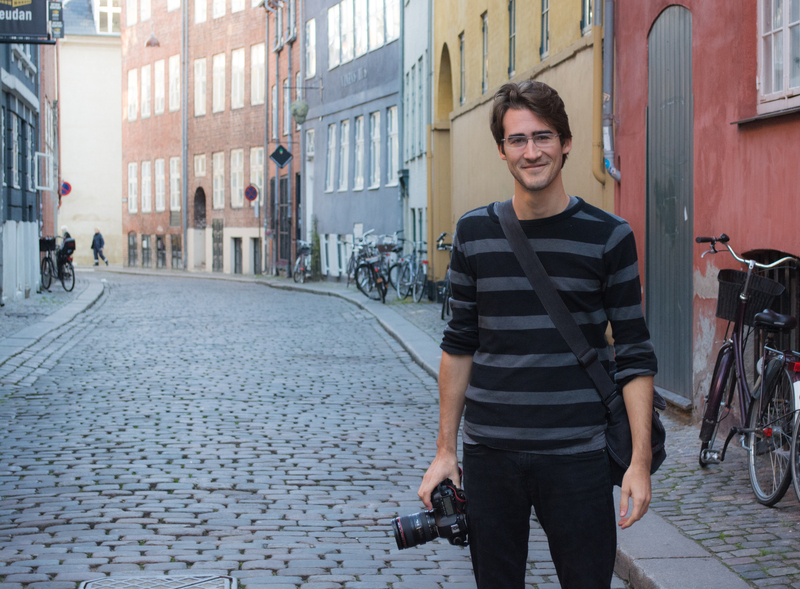 Read David’s interview below to find where all his inspiration comes from, what it’s like to return to Copenhagen a second time, and the challenges and excitement of his internship. DIS: When did you first realize that you love making videos? David Gwynn: In 7th grade I made a news piece about Robert E. Lee with my mom. It’s all been pretty much downhill from there. DIS: What is your personal style in video? DG: I do a kind of hybrid documentary-narrative style where I shoot naturalistic happenings and through it try to find meaning and structure. Sometimes it seems kind of creepy to secretly shoot people but it feels honest. I also love side profiles of people’s faces and close ups. DIS: When did you go to DIS, and what’s your story? DG: I went to DIS in the fall of 2011. Although I was skeptical, I was convinced by an older college friend [from Elon University] named Kelli who sold me on the small Nordic country. I started doing some projects with the DIS marketing team and followed four other students around, learning about and documenting their DIS stories. I enjoyed the freedom, experience, and perspective I got from working on the videos and having a European backdrop made it all the better. DIS: Why did you decide to come back to Copenhagen? DG: I came back because I knew there was a big opportunity to build a video identity for DIS from the ground up and being the first to be able to help with that felt like something I couldn’t miss. Living abroad seemed like something that would help me grow in my work and in life. This is a time where I can live in foxholes and not really eat much, I may as well do it where I’m also exposed to a different language and way of thinking. DIS: What goes into the process of creating videos? Take us from the top: filming, editing, and the finishing touches. DG: There’s strategy, pre-production, production, and post. My boss Lauren and I come up with projects we want to do and determine which are the most important. We throw around concepts and styles and begin to try and find our student subjects. 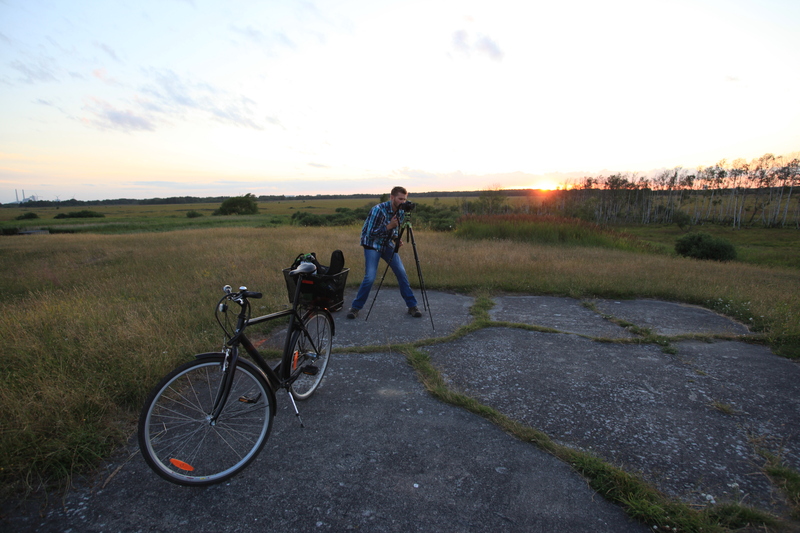 Then I go out and shoot, whether it be interviews or b-roll of their experiences, (field studies, classes, study tours, etc). Then I edit what I have together and start doing cut after cut getting feedback after each until we have something good. Behind the scenes: Earlier in the summer, David worked with a student, Ryan, who had similar interests in photography and videography – and didn’t mind being the subject! Look out for this video about Ryan’s summer at DIS; it will debut in the coming weeks on the DIS Facebook page. DIS: What are some unforeseen difficulties you’ve had this semester? DG: It’s hard to get people to talk in complete sentences. They usually just launch into something without context, which makes it tough in editing. It’s also challenging not having a crew or second shooter. Doing everything alone means what you get is all you get. There’s no cavalry, which is a good way to learn because you’ve got to rely on yourself but it can be difficult. DIS: You often have to take video of specific students to capture what it’s really like to study at DIS. 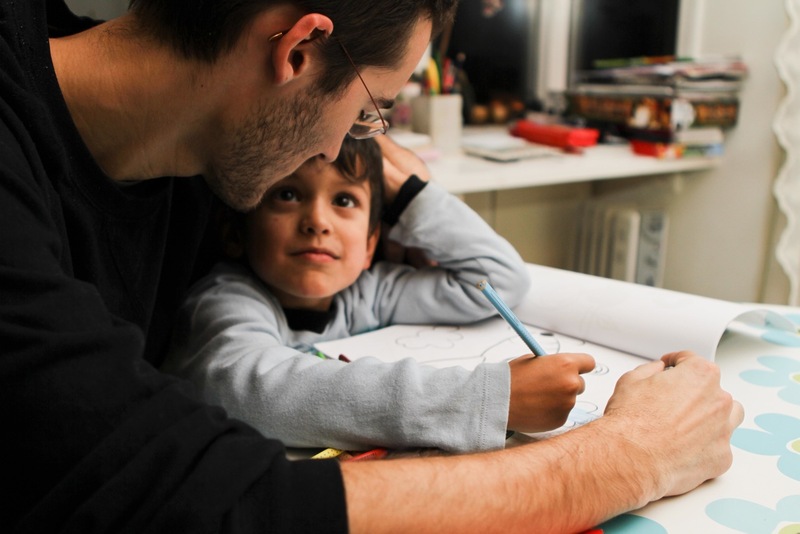 How do you go about reaching into their personal life? DG: It really helps that I’m close to their age and experience range…that usually makes us comfortable with each other. It’s also great that I was a DIS student myself because it helps me relate to them much more. People are sometimes nervous about the camera but if you can fade into the background enough and not be so intrusive they forget about it. Long lenses help here. DIS: What is the essence of the DIS experience – if you could share just a few moments of a semester here, what would you choose? DG: The essence is realizing where you come from, and hopefully, who you are. Realizing what your own family has meant to you when you live with a Danish family. Seeing how you interact with others with a different upbringing and cultural foundation. Going through pouring milk into your cereal and having gloppy yogurt plop out. Pouring over maps and riding trains and buses and bikes. You don’t really know what being an American means till you try something else; DIS is just really good at facilitating that process of immersion and self-reflection. 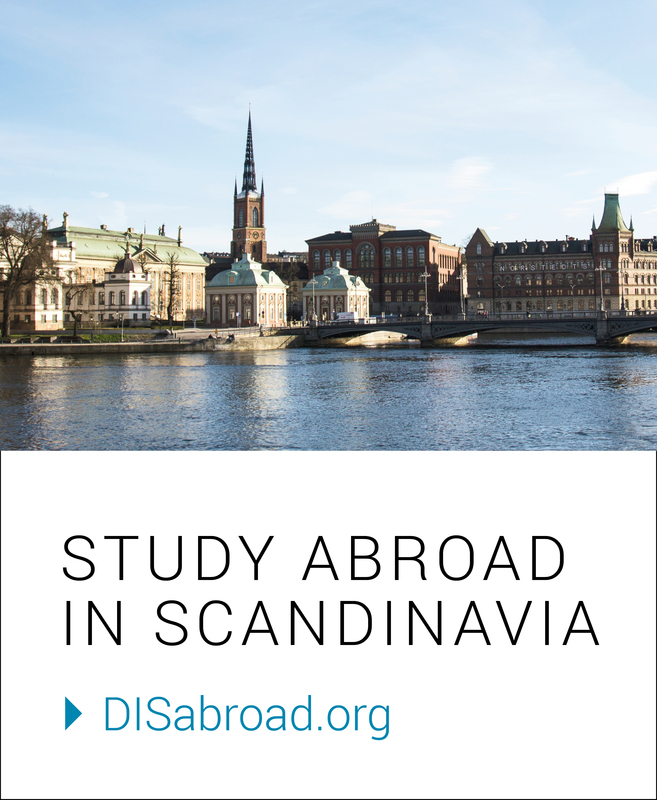 DIS: You’ve spent a semester as a student, going on study tours, meeting Danes, and discovering Denmark. How has your perception of a semester at DIS changed since becoming an intern? DG: Well for one it seems shorter. Having long term plans and goals and plotting out a semester really puts its span into mind. As a student I just kind of rode along and soaked it up. Now, a lot of my projects are based around the students’ semester so I’m always aware of when they are leaving. It is fun though to see and work behind the scenes, and it’s a blast to shoot and tell stories of students going through what I went through. I’m in a rare position of getting to re-experience DIS in many different ways and I think that’s what will give me the insight to tell them with meaning. DIS: You are working on a whole bunch of video projects over this year – what can we expect? DG: I’ve spent a lot of the summer and this fall filming all that is happening at DIS, and you will start seeing my videos appear over the next seven months. The first – a series on our summer offerings at DIS – will be released next week. There are so many great faces in them from this past summer – I hope those that helped me make them enjoy seeing their experiences quilted together!